Happy New Year my dear Danuta!!! Aaahhh! You are so blessed to live right there in Champgane! I hope to share much through blogging with you this year. May our friendship blossom. May you never run out of creative ideas. May Your life be filled with happiness and prosperity! 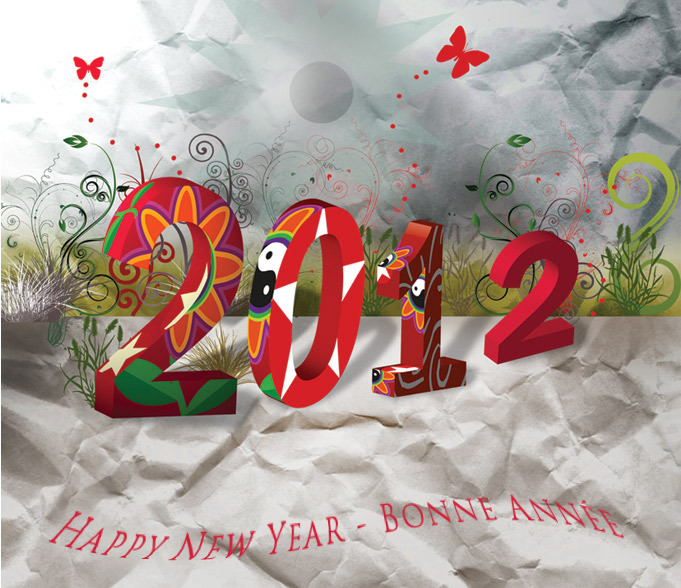 Wishing you all the happiness and joy that comes with 2012! Best to you!